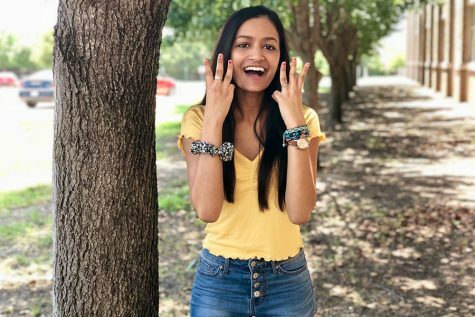 Shreya is a senior and this is her fourth year in wingspan. As a senior, she finds almost everyone annoying and hates when underclassmen accidentally touch her in the hallways. She looks really mean when she’s walking, but she’s actually really nice and loves to meet new people. Now, she may look like a twig, but she’s ready to fight at any given time. If you ever get her mad, just buy her some food, and all is forgiven. She hopes her last year in Wingspan is the best. If you were wondering, Higgins is still her savior.